Earlier this week, Prime Minister Theresa May’s cabinet issued a 585 pages long draft withdrawal agreement which outlines the transition as the UK leaves the European Union. In a statement, BMW said it was continuing to prepare for a no-deal Brexit, given uncertainty around deal after several of her ministers resigned in protest. At the same time, the Munich’s executives welcomed the agreement as a “positive step in the right direction” but said the political situation was uncertain. “Uncertainty is not good for business. As a responsible employer, we must therefore continue to prepare for the worst-case scenario, which is what a no-deal Brexit would represent,” BMW said in a statement. “We continue to call on all sides to work towards a final agreement which maintains the truly frictionless trade on which our international production network is based,” BMW said. This past summer, to be fully prepared for Brexit, BMW was holding training sessions for suppliers near its factories in Munich and Oxford, England, to make sure they are ready for the customs clearance procedures BMW suspects they will need to move parts between the UK and the European Union. It’s a process that many haven’t spent much time on because they operate only within the EU. 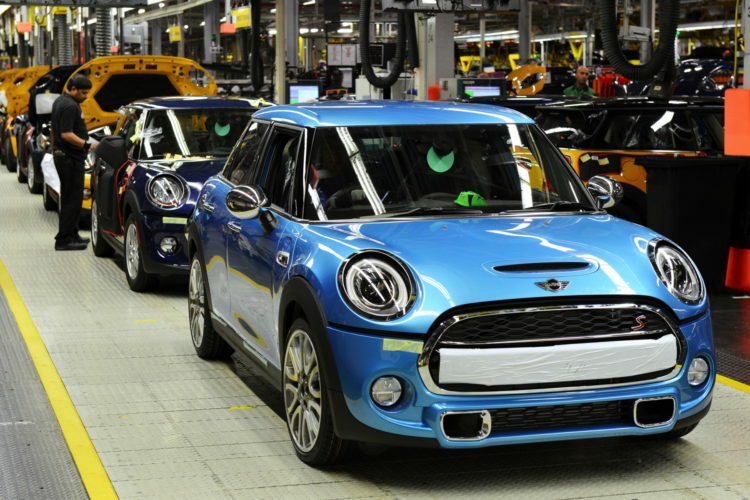 Furthermore the MINI factory in the UK will shut down for a month after Brexit at the end of March to minimize disruption in case of a no-deal outcome. In a statement, BMW said that its summer maintenance shutdown had been brought forward to April 1, 2019 to reduce any “possible short-term parts-supply disruption”. “While we believe this worst case scenario is an unlikely outcome, we have to plan for it,” BMW said. The Bavarians have once again reaffirmed their commitment to its Oxford plant which employs 4,500 people and produces 5,000 cars a week. BMW CEO Harald Krueger said at the Paris Auto Show that the Bavarians may have to move MINI production to the Netherlands from Oxford, England. Well my friend, too late now. Mini in Britain is “kaput”……. Since 2001 I have purchased outright FIVE BMWs, 2. 530s and 3. 7 Series, the latest being an Xdrive and if BMW and the EU wish to play silly Blighters they will be the last EU purchases I shall make, this includes French Wine as well. A 2nd referendum is a terrible idea. How about a 3rd or 4th referendum? Agree! Just let the deplorables keep on voting ’till you get the “right” answer. The people voted “leave” … as I read it, it means LEAVE! The EU is going to destroy Europe. If the majority of people have realized how stupid an idea brexit is and how much they were deceived to promote it then it’s completely fine to hold another referendum. It’s a democracy, right? Or is it only okay to vote on issues you support? Brexit of Brexit, or it will be Englands end.